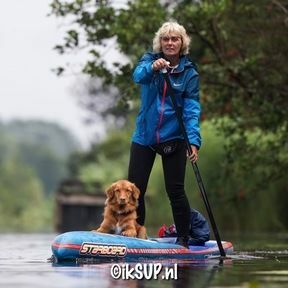 Ga je zonder board op vakantie maar wi je wel je eigen paddle mee zodat je op reis een board kunt huren maar wel lekker kunt peddelen met je eigen lichte paddle? Dan is deze mooie paddlebag ideaal! Wordt geleverd met een afneembare schouderriem voor makkelijk dragen. 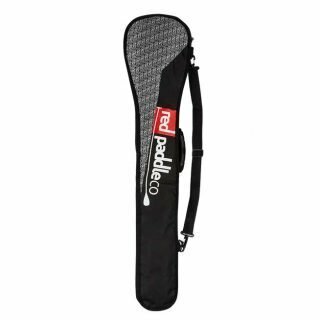 With our paddle carry bags you can feel safe that your SUP paddles will be better protected during transportation. You can take it on as hand luggage or put it in the main hold. We do a range of accessories to keep your paddle protected during transport. For 3 piece paddles there is a double paddle carry bag which has plenty of space for two paddles and is great for those looking to protect their paddle whilst travelling. It has an ergonomic carry handle, with the ability to attach a shoulder strap, a coiled zip to reduce snagging and our water resistant padded lining. For fixed length paddles there is the adjustable, double paddle bag. With plenty of room for two fixed paddles or if you want to keep your 3 piece paddle together during transport. It comes with a padded shoulder strap, ergonomic carry handle, water resistant inner lining, a coiled zip to reduce snagging and a hook at the top so they can be hung up when not in use. The bag also features an adjustable system which changes the length of the bag, depending how long you paddle is. And to help ensure the paddle never gets lost in transit there is a address label window for you to add in you personal details.